This is horseshoe made from soft felt. 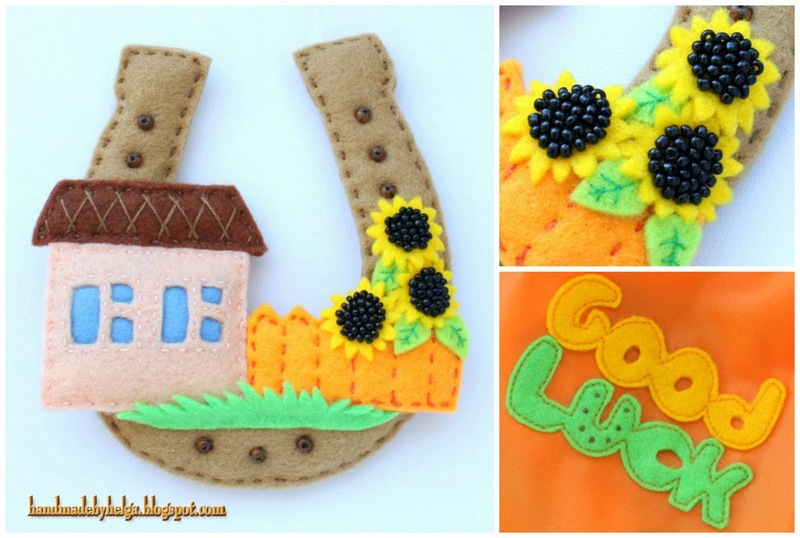 Horseshoes are meant to bring good luck. 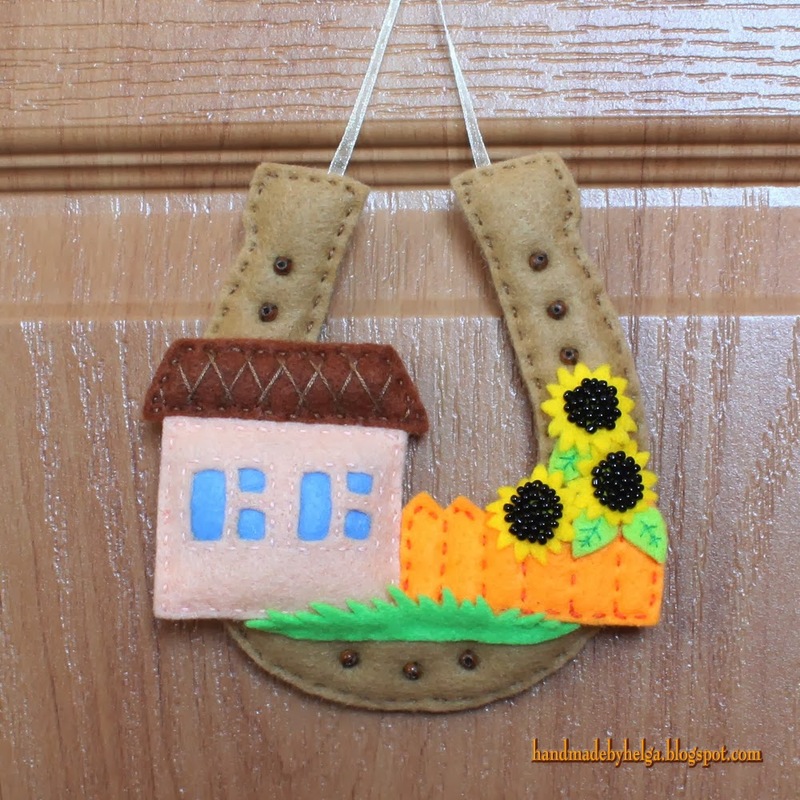 I decorated my horseshoe with the house and sunflowers. 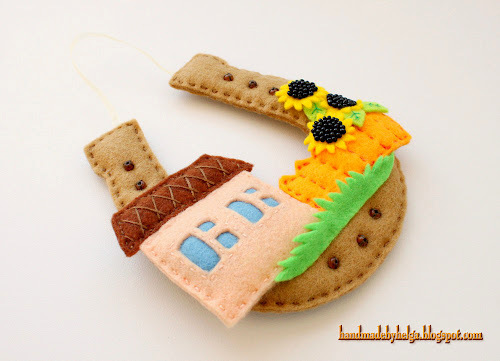 The house is a symbol of cosiness and prosperity at home. And the sunflowers is a symbol of the Sun, vital energy and abundance. Very nice door decoration! Fantastic idea for New Year! Thank you so much, Oksana!